DRM NZ is a digital aggregation service that can launch music globally through iTunes/Apple Music, Google Play, Spotify, Amazon, YouTube Red, Xbox Music, Tidal and many more. We sit between you and the digital services, where we provide them with your music and manage the collection and payment of royalties. We aim to cater to what artists’ priorities are, and do our best to accommodate accordingly. We are ready to work with you on achieving your “digital release” vision. With over 400 hours of video uploaded to YouTube each minute and 25+ billion views each month, YouTube are the universal video platform. 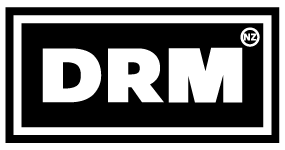 DRM NZ is a YouTube certified Multi-Channel Network for Music and a Content Manager for Entertainment material. This means we are available to assist in generating you revenue from your own channel, as well as through user-uploaded videos. We are also able to ensure your content is protected and properly managed though YouTube’s Content ID system. We provide support with potential issues you’re facing, and have a detailed working knowledge unavailable in YouTube’s help section.